The serial killer sat emotionless in court as Judge John McMahon read out his reasons for the sentence. "Mr. McArthur would have no doubt continued to kill if he wasn't caught". 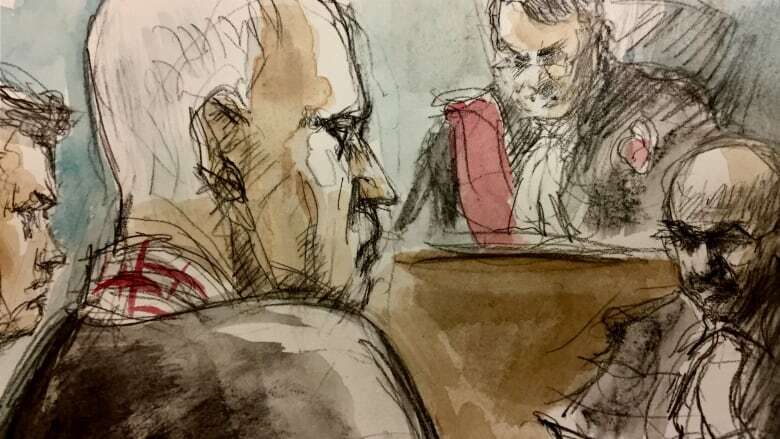 The 67-year-old killer sat quietly hunched over, hands folded in his lap, as a row of police detectives - whose investigation unfolded over the course of last year to become Toronto's largest ever - watched from a row of seats directly behind him. "The ability to decapitate and dismember his victims and do it repeatedly is pure evil". At the time of his plea, one of the detectives who helped gather evidence of McArthur's crimes said he hoped it would provide closure for the families. The sentence wasn't harsh enough for Nicole Borthwick, who was friends with Kinsman, Lisowick and Esen. The families and friends of victims expressed frustration that the judge had not handed down the harshest possible sentence. "I think that if you're going to do a maximum crime, you deserve the maximum sentence". McArthur is accused of preying on men who disappeared from Toronto's Gay Village between 2010 and 2017. Two pieces of evidence finally connected McArthur to the killings when police renewed their investigation in August 2017. "We offer a safe space for people to come and talk about it and be with other people to know that we are a community", Dudley said. According to court documents, the murders were planned and deliberate and six of them were sexual in nature. Not only did he stage and photograph his victims so he could relive his horrific handiwork, but the "morally bankrupt" killer subjected them to the most heinous indignity after death. "A different standard of justice for racialized and LGBTQ+ people is the reality in our city and province". It's a sentence that's getting mixed reactions from those close to the victims. "There aren't very many 116 year olds out there", he explained.